You may read the full letter as a scanned image here and here. It is distressing to see taxpayer monies being used in this aggressive fashion. 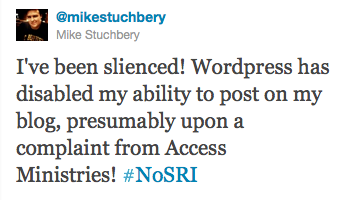 No doubt similar requests to WordPress have led to an apparent suspension of Mike’s account. In proceeding with this action ACCESS have again sent a loud message to Victorians that they shall hold to their own script and defend it aggressively. If Man Hunter carries the theme of revenge, it appears it is mirrored in ACCESS’ defence of material. So, was this necessary or a ridiculous and vengeful overreaction by ACCESS? A far more suitable way to deal with Mike’s ambitious reproduction would be to file a Digital Millennium Copyright Act – DMCA – infringement. Broadly speaking this consists of a Statutory Declaration pursuant to the relevant Act section, written by the copyright holder to the ISP – in this case WordPress, whose hosting servers are in the USA . ACCESS would claim exclusive ownership of material held at URL X, and claim in good faith that Mike’s use is not authorized, thus constituting an infringement of their copyright. Update [June 23]: Automattic is the company responsible for WordPress blogs. Their DMCA online submission form provides for the breach of ACCESS Ministries copyright, as outlined in the Moores Legal letter to Mike Stuchbery. Jonathon Bailey of Plagiarism Today has a comprehensive article on submission to WordPress.com – see Copyright Complaints. 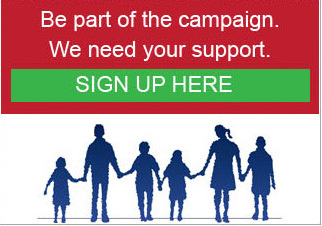 In short there is simply no apparent legal need, beyond flexing financial muscle, served by involving Moores Legal. The bottom line here is perhaps a degree of naivety on Mike’s behalf. After everything that we have seen transpire to date, I think Mike may have assumed that somewhere within Access there is a shred of decency. I have been saying from the very beginning that there is not, and that Mike is now forced to assume this reality as well. These are people who have absolute contempt for civil and liberal society – they are an absolutely amoral, borderline psychopath entity with no concern for anything other than their own interests. To expect anything less than the absolute worst from them is foolish. That said, if this was evoked via US DMCA it needs to be examined microscopically. There are severe punishments for misuse of DMCA as well, as VenomFangX found out. Perhaps it is also worth contacting the ACLU. It is interesting to not that they are concerned about Mike publishing and publicising their book but several months ago I bought a copy of the cartoon that was removed from sale the next day. I have as yet not been contacted by Access and told not to use the publication in teaching nor have I been offered a refund. As far as they are concerned they have removed the cartoon and apologized for the insulting and misleading content but obviously they do not care how many existing copies are out in the community and are still being used. @Mark M It’s not a matter of censorship. This is a matter of DMCA use/abuse/misuse. Mike did make the mistake of technically falling foul of copyright from what little I understand. They have probably been circling like vultures waiting for just such a technical slip.